Keeping my teeth nice and clean is always top of my priority list in the mornings and evenings, over the past few years I have became extremely conscious about my dental hygiene, I think changing dentists and finding someone that was great and a huge difference to the last dentist I had really made me enjoy dentist visits again. 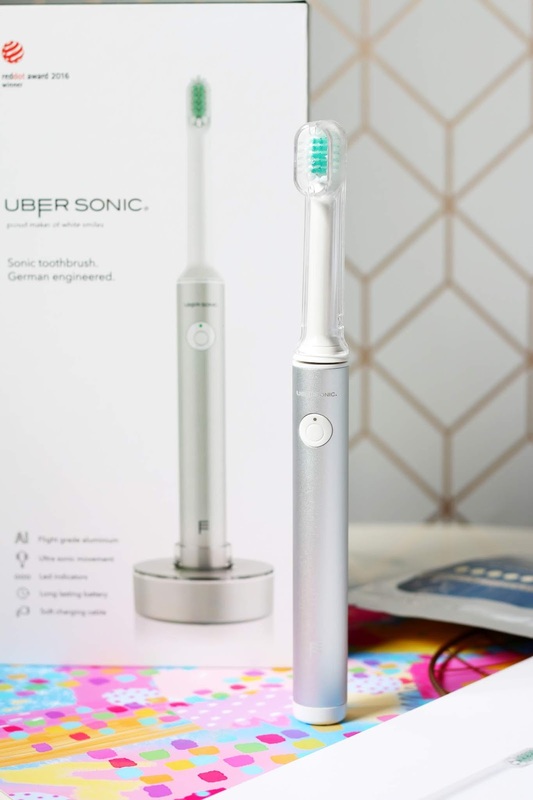 Since I have been taking my dental hygiene more serious I am always on the look our for new products that's going to help me achieve those pearly whites and I have to say, Uber Sonic Club are really achieving that. 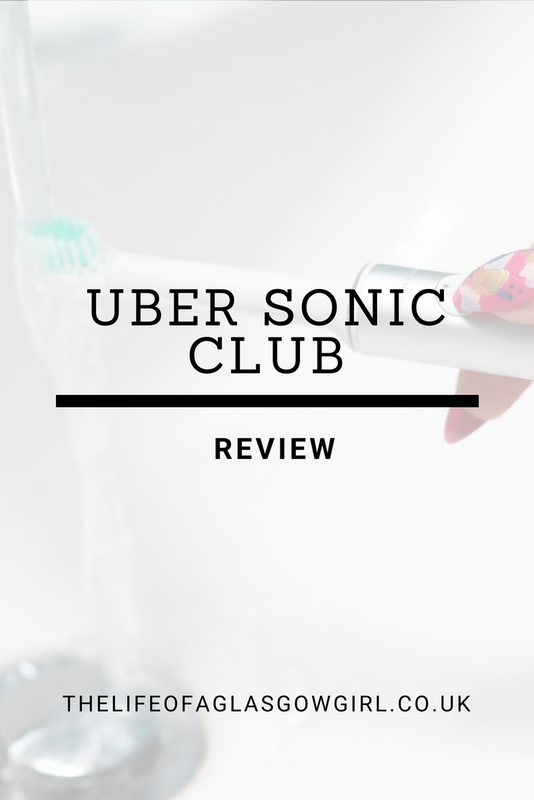 I have been using the Uber Sonic Club toothbrush for weeks now and I am very impressed with the quality of the toothbrush! But before I get into my experience I want to share with you what Uber Sonic Club is all about. 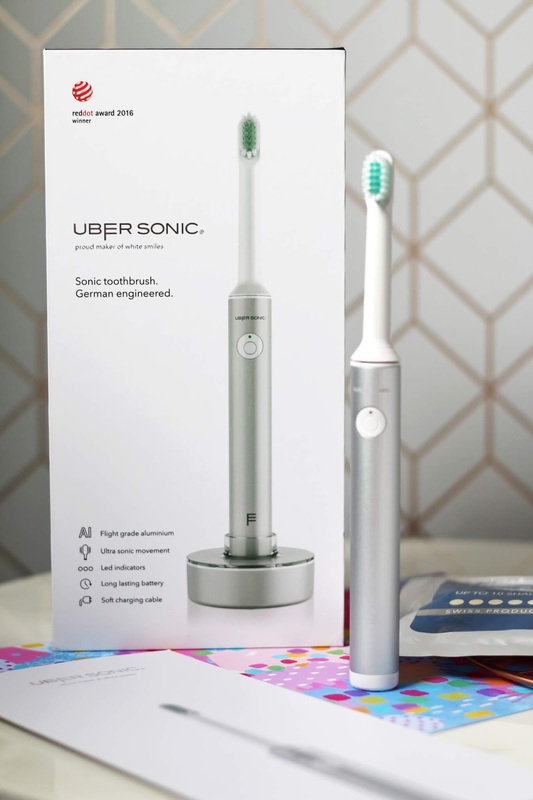 Uber Sonic Club is a subscription bases service that helps you keep your teeth nice and clean. 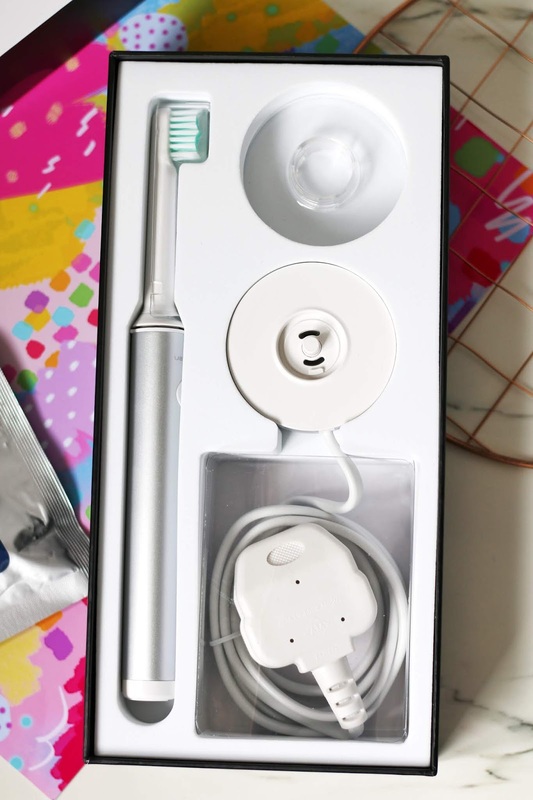 The starter pack is £19 and this includes the toothbrush which has won the red dot award and then you get brush head refills every 2 months which is £9 and has free shipping. 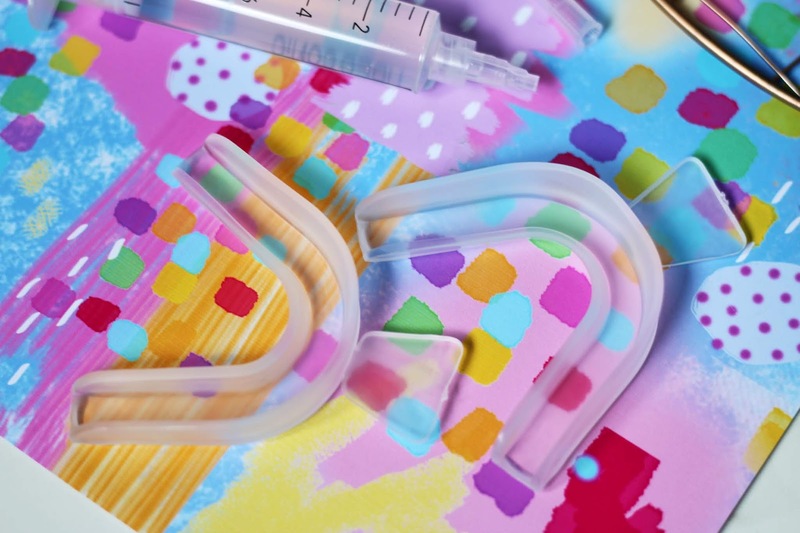 Your refill package will come 6 times in the year and this means you can change your toothbrush head every month which is what dentists recommend plus it won't cost an arm and a leg to do so. You will also get a free teeth whitening kit with your 1st refill pack to help you achieve that bright white smile we all dream of. What I think is really great is that you also get a new toothbrush every year so you can be sure you'll always have a working tooth brush! "Uber Sonic is a German engineered and uses state of the art raw materials and assembling techniques. Our philosophy is clean and simple. 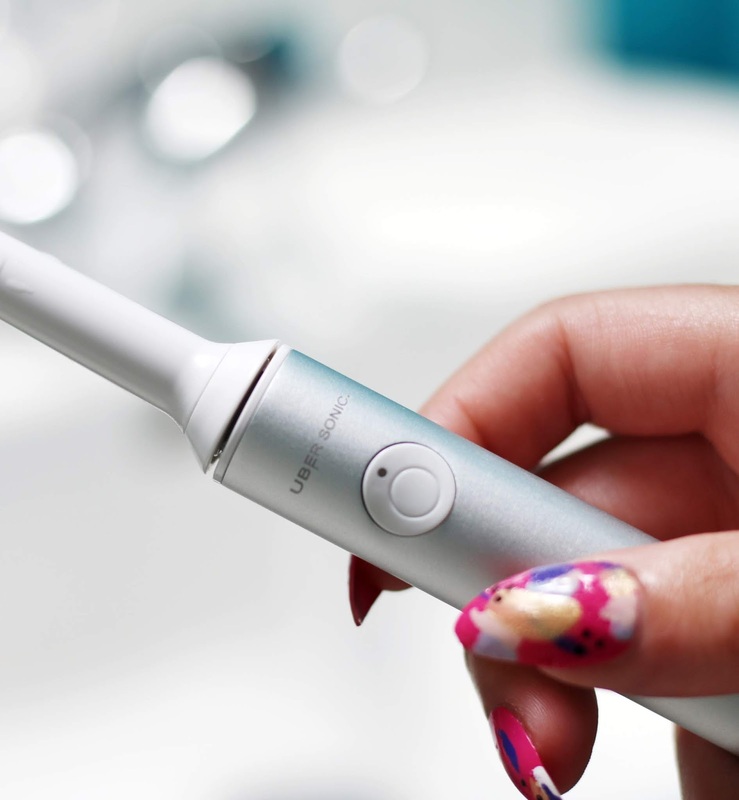 The Uber Sonic will do one thing and one only, keep your beloved teeth as healthy as possible, and remove plaque and bacteria up to seven times more effectively than a normal toothbrush." Now that I have told you all a bit about Uber Sonic and how this subscription works onto my thoughts about this tooth brush. I received the starter pack and the teeth whitening pack to try out, I've not been able to use the teeth whitening kit as my dentist advised against it whilst I am on treatment for my gums but once that's all sorted out I will definitely be giving the whitening kit a go, so watch this space. I have however been able to use the toothbrush and I have to say that my experience with this brush has been great! 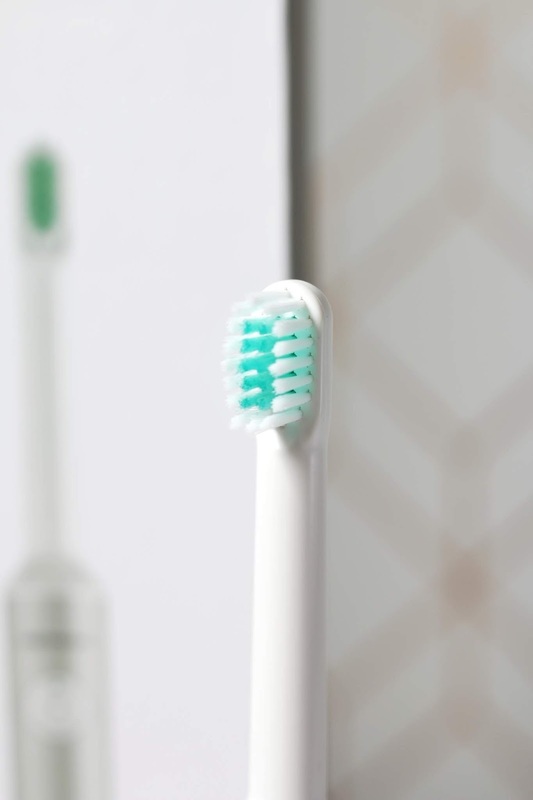 It's a lovely design which I love, it's very aesthetically pleasing making it the perfect toothbrush for Instagram shots ;) Not only is it a great looking tooth brush, it works really well. The power in this toothbrush is fabulous, It's also quiet which I like as my last toothbrush was quite noisy so it's a nice change to have a quieter brush. The toothbrush head is a long brush and I have been so used to the small round brush head that it took a while to get used to but now it feels weird if I try to use my other one, I am so used to this brush now that I can't seem to use my other one. Although it's powerful I did feel like I had to give the toothbrush a helping hand at brushing my teeth, like you do with a non electronic one but that may just be how I feel about it, it does clean my teeth perfectly fine but I just feel like I have to put that little extra something into it if that makes sense? My mouth always feels so fresh after brushing my teeth which is always a win right? The toothbrush comes with everything you would expect it to, It has a charging stand to make sure your toothbrush is always fully charged when you need it and the batter last's quite long if I'm honest, I done a little test with it to see how long I could go on using the brush without having to charge it up after I had fully charged it and it went 4 days before I felt the need to put it back on to charge as the power was starting to dull down. It also comes with a clear cap to keep the brush head nice and clean when not in use plus comes in very handy for travelling. 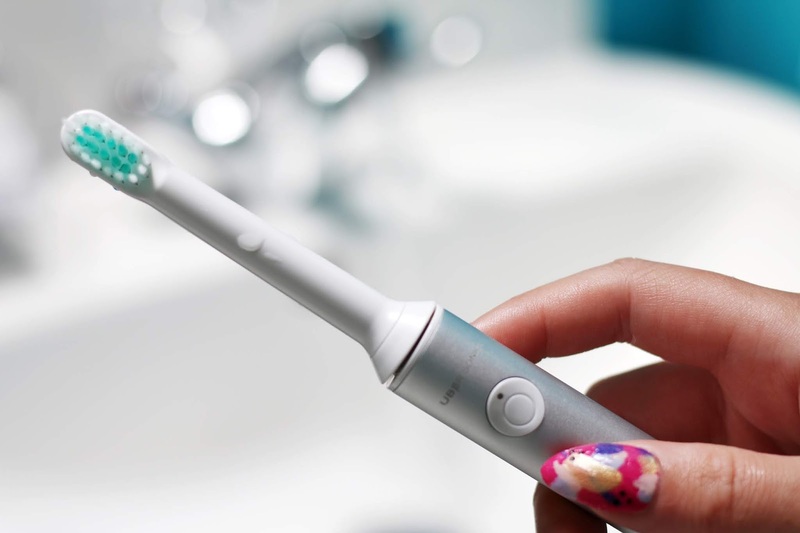 The toothbrush has a little LED light above the button that turns it on and this helps you know when it needs charged up and when it's fully charged, making it easy for you to keep your brush working. There is also a timer on the brush, every 30 seconds you will get a little buzz that serves as a reminder to change where you're brushing, it's great because it lets me know how long to spend on each area, then after 2 minutes the toothbrush turns off, no more wondering how long you need to brush for! All in all I am so pleased with this toothbrush, It's a beautiful design, it cleans my teeth very well and it's sleek enough to take away on holiday or such. I would for sure recommend this to anyone who like me really loves to take care of their teeth, it's such an important thing to remember. 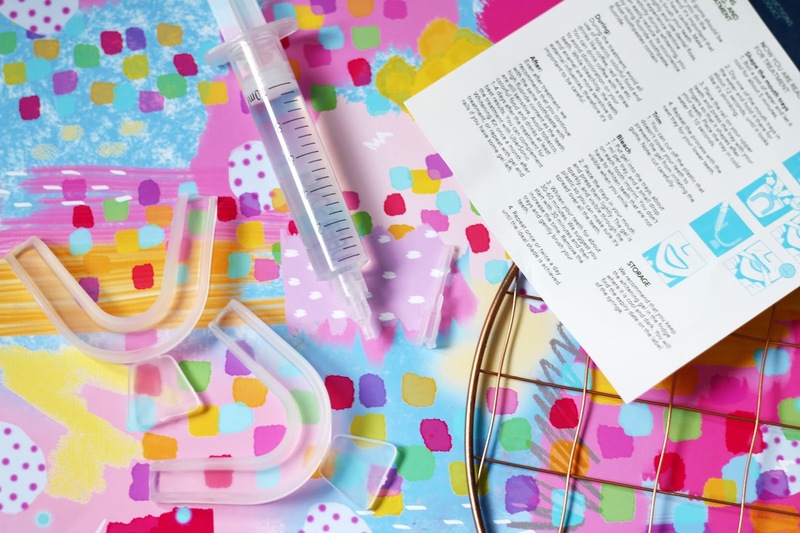 Below are some photos of what's included in the teeth whitening kit, two moulds for you to use on your teeth and the gel to put in the tray for whitening your teeth. Once I've been able to use the kit I'll report back on my thoughts and how it worked for me. 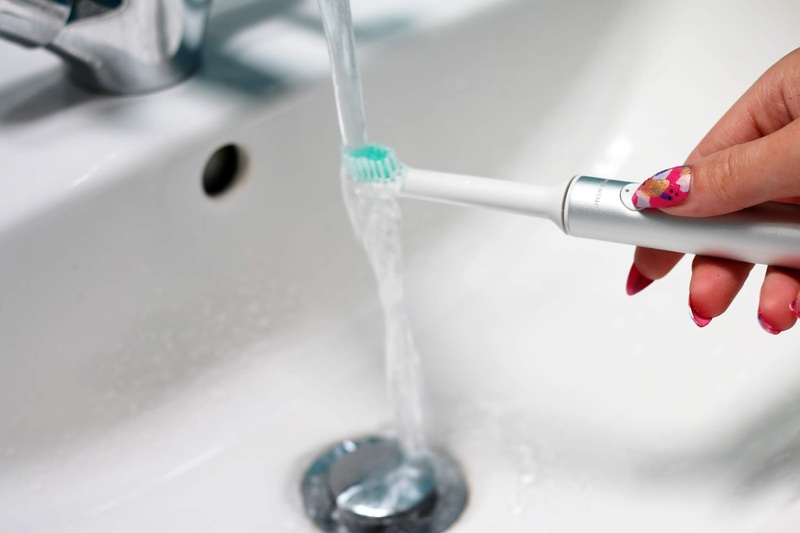 Do you fancy getting your hands on this fab toothbrush? Then head on over to ubersonic.co.uk and start your journey on pearly white teeth. 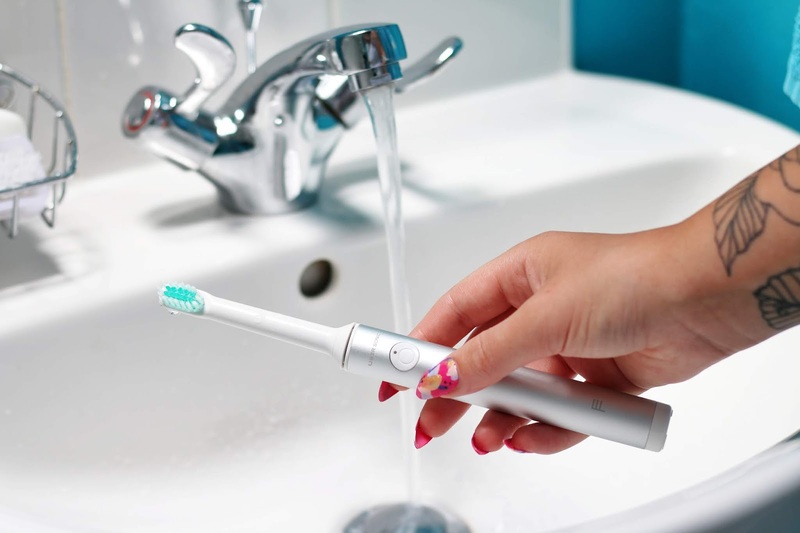 I'd never even considered that a toothbrush subscription could be a thing, this is so clever! And actually pretty damn cheap from the sounds of the quality of it too. Replacement heads are usually loads of money, not to mention the toothbrush originally. I love that the head of it isn't too big either, I have really sensitive gums so it's always a nightmare having a toothbrush with a large head as I always feel like it feels far too harsh on them. I will definitely be showing this to my mum as this sounds right up her street and I'm interested to see the results of the whitening kit! Neither did I! It's such a good concept because you'll get the brush heads so saves money in the long run! Oh have you not! I would definitely recommend you try one out, your teeth feel so clean afterwards! I already have faith in this brand from the fact that it's German engineering. If being a fan of motorsport has taught me anything it's that German engineering is the BEST and I'm sure that translates to smaller products too. This sounds really cool and I wish I had taken better care of my teeth when I was younger, I probably wouldn't hate them so much now if I did. This is such a great blog post. I love this product. I love the design.